Nothing on your timeline is holy this Sunday. With Easter and April Fools’ Day falling on the same day this year, you just can’t trust anything or anyone. A deluge of faux products that sound like gags straight out of Last Week Tonight with John Oliver are on their way to your timeline. But be forewarned: Unlike Auntie Ann’s line of essential pretzel oils, at least, you can buy A day in the Life of Marlon Bundo. Here’s how eight brands tried to pull one over on their customers. 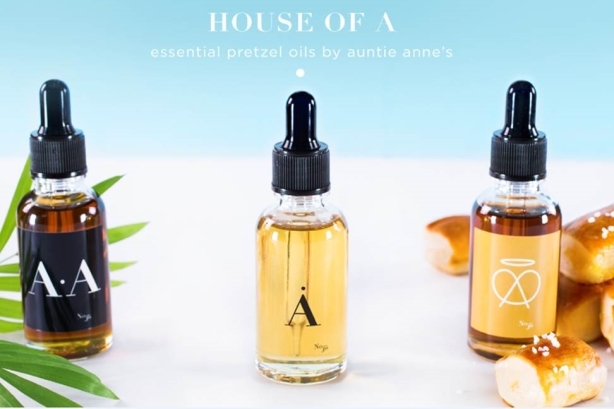 Introducing the newest line of essential pretzel oils from "House of A." Scents include Freshly Baked, Salty and Cinnamon Twist. We don’t want to give away any spoilers… But it’s gonna be EPIC. ?? Alcohol companies have a reputation for epic product descriptions, but L.A. Wine Project latest vintage manages to make bottled apathy sound fantastically meh. For April Fools’ Day, the brand is launching Blasé, "the world’s first rosé of indifference." "Blasé tastes like all the rosés that have ever existed … experienced at once. FOMO-killing aromas of everything-beautiful-in-the-world enfold an unflappable serenity that’s not trying to be anything it isn’t. A truly powerful elixir, Blasé leaves you feeling like there’s nothing left to do but enjoy the spoils of your hard-won existence," a press release explains.